Protophloem: the elements of primary phloem which develop first. his image shows two protophloem strands, immediately above the procambium. 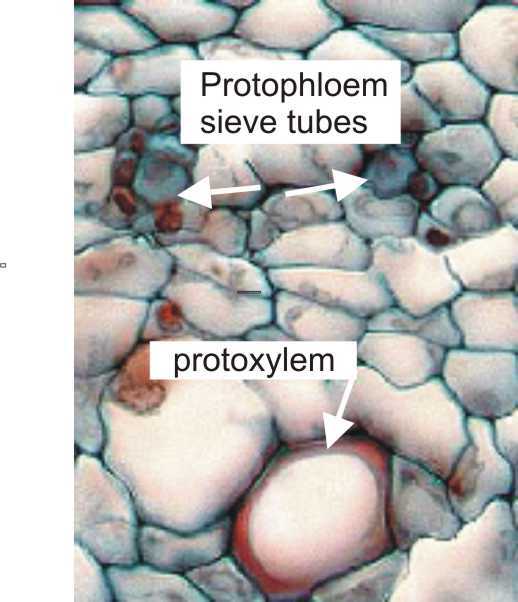 One protoxylem vessel occurs beneath the procambium.